The Hach DR/890 Colorimeter, displayingresults of an ortho-phosphate test. Many hobbyists rely on theiranimals’ overall health as indicators of proper environmentalconditions. We certainly can’t argue of the successes achieved withthis method – the method is simple and inexpensive. The maindrawback of this technique becomes apparent when the ecosystemstumbles or fails. Without baseline datum for comparison, thereefkeeper is at a loss to explain what happened, and worse, how toprevent a reoccurrence. It is much better to routinely monitor (and record) criticalparameters within the aquarium. Generally, those ‘test kits’marketed in the pet industry are colorimetric, that is, a chemicalreagent is added to a known volume of water and, after a prescribedtime, the resulting color is compared to a color chart, and anestimation of concentration is made. Results of testing involving’test kits’ can sometimes be notoriously difficult to interpret,and can be frustrating. Judgment of colorimetric test results issubject to many variables, such as intensity of color development,lighting conditions, color perception, etc. I suppose we’ve all atone time or another been guilty of drafting our Significant Otherfor an independent confirmation of what we perceive as a ‘correct’determination. And, at the same time, we’ve secretly wished for abetter way. ‘Test kits’ generally deliver ‘ballpark’ numbers, and this maybe fine for the average hobbyist. However, serious hobbyists, coralfarmers, professional aquarists and those providing aquariummaintenance services might be interested in some of the newer testequipment finding its way to market. Although not inexpensive, newcolorimeters using light-emitting diodes (LEDs) have lower pricesthan units available just a few years ago. Sturdy and compact,these instruments are easy to transport for field work, yet areright at home in a laboratory setting. Recent ‘coral projects’ required an upgrade to my older testequipment. My first inclination was the purchase of a ‘bench’spectrophotometer. My previous experience with these instrumentswas the foundation of my initial decision, and, being a creature ofhabit, my familiarity – as well as the outlay – for this instrumentseemed acceptable. I also investigated the purchase of a handheld,portable and battery powered colorimeter. After weighing the prosand cons, I decided to purchase a Hach DR/890 Colorimeter. The Hach Company in Loveland, Colorado has for many years been afamiliar name to those involved with water or wastewater treatment.In fact, their products have been marketed to the pet industryunder private label for use in colorimetric determinations ofvarious parameters. I have generally been satisfied with myexperiences with Hach’s products and felt comfortable with thepurchase. The colorimeter arrived in two days’ time, and I anxiouslyunpacked the boxes. In it were the DR/890, sample vials, variousadapters and an instruction manual. Test reagents, which have to beordered separately and at additional cost, had arrived also. Exceptfor installation of the AA batteries (included), the DR/890 isready to use. It comes programmed with information to perform 90tests via a simple menu (Note – The DR/820, 850 and 890 can beprogrammed by the user for up to 10 additional tests, with 12 datapoints for each). The instruction manual gives clear, easy tofollow directions. The Hach colorimeters also have a built-in timerfunction that alerts the user when the proper reaction time haselapsed. The DR/890 is a rugged unit, and Hach advertises the DR seriescolorimeters to be chemical resistant, shockproof, dustproof andwaterproof (to the depth of 1 meter for 30 minutes – forgive mewhen I say I cannot verify this!). It can operate in temperaturesof 0-49º C (32-120º F). Though rugged, the instrumentshould be treated with respect. Hach offers a carrying case atadditional cost, but I found an aluminum case with interior foampadding at Lowe’s for less than $30. The DR/890 can perform 90 pre-programmed tests (the DR/850 cando 50, and the 820 is programmed with 20). See Table One for apartial list of tests. Test reagents are available inseveral forms (see photo). Perhaps the most familiar are dryreagents packaged in foil packets. The package is torn (or cut)open, and the contents added to a pre-measured water sample. 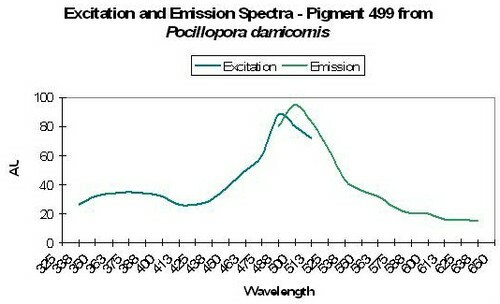 Thesample is then mixed with the chemical reagent(s) and apredetermined reaction period begins (conveniently timed by thecolorimeter, which has appropriate times programmed for each test).A color develops, the instrument is zeroed with a ‘blank’ sample,the absorbance of the test sample is measured and -voila! – theinstrument reports the result. *Other ranges are available for certain tests. Upper range canbe extended by simple dilution. 1 Low range measurement makes this test suitable forsoft water aquaria only – not reef tanks! 2Chloride in seawater causes interference and hencelow nitrate reading. Calibrate instrument with a nitrate standardspiked with sodium chloride, but see Postscript. 3A user-entered program using a pH indicator may besuitable for saltwater. Hach offers reagents in packages other than the foil packets.The AccuVac ampul is a glass vial (~2.4 cm diameter) containing ameasured amount of reagent packaged under a vacuum. When theAccuVac ampul is immersed in a sample and the tip is snapped off, apredetermined amount of sample of sample is sucked into the vial.After color development, the glass AccuVac, acting as a cuvette, isinserted into the colorimeter and the concentration is determined.A third method is the Test ‘N Tube. Like the AccuVac, the Test ‘NTube contains reagent, and one simply adds the sample of interestand, after the prescribed reaction time, a determination is made.The Test ‘N Tube vial diameter is ~1.5 cm and requires an adapter(Hach includes an adapter with eachcolorimeter). Photo 1. Examples of packagedreagents. From the left, an AccuVac ampul, Test ‘n Tube, and foiledpackaged dry reagent. While not inexpensive, the price of these colorimeters is much lessthan a full-blown spectrophotometer. This is due to theincorporation of light-emitting diode (LED) technology. Instead offull spectrum light being split by a prism or diffraction grating,an LED can deliver a light beam of relatively narrow spectrum. TheDR/820 contains one LED (green at 520 nm); the DR/850 has 2, oneeach at 520 nm (green) and 610 nm (red); the DR/890 has four LEDs:420 nm, 520 nm, 560 nm and 610 nm. So, the limitation of theinstrument is not simply one of only programmed function, but oneof wavelength range. Data logging capability is possible. Results (up to 99) and dateand time, test parameter, program number,concentration/absorbance/transmittance, sample number andinstrument serial number are stored in an internal, non-volatilememory. This is a very convenient feature (as anyone who has triedto record to results with wet hands and wet paper can attest!). Results can be expressed in various chemical species. Forinstance, ortho-phosphate can be reported as P, PO4, orP2O5. A simple press of the button alternatesbetween these forms thus preventing use of a calculator. Still, with all these features, the DR/800 series is not foreveryone. However, cost (the major drawback) is a double-edgedsword – For those used to ‘test kit’ prices, the cost will come asa shock; those familiar with pricing of ‘laboratory grade’instrumentation will find the cost refreshing (especially whencompared to a spectrophotometer). When one considers the cost ofindividual test kits (say, ammonia, nitrite, nitrate, pH,phosphorus, iron, etc.) we begin to understand that thesecolorimeters aren’t really that expensive after all. If you needfurther justification, consider that these units can test tapwater, RO effluent, spa and hot tubs, boiler water (! ), swimmingpools as well as aquaria. Reagents are purchased separately at additional cost. Hach dateseach reagent packet with an expiration date, so one is assured ofreagent quality. Most parameter reagents are reasonably priced(especially nutrients such as ammonia, nitrate and phosphorus) at$20 – $30 for reagents sufficient for 100 tests. (Compare the costper test with those reagents packaged for the aquaria industry inlots of 20 or so.) Some, such as potassium, are more expensive atabout $1 per test (purchased in a package of 100). In some cases,one could already have the appropriate reagents. Hach’s reagentpackets are sometimes private-labeled for the pet industry and maybe available in smaller quantities at your local pet shop. Somereagents can test for more than one parameter – The chlorine testreagent DPD can also be used in a user-entered iodine test (DR/890only). In rare instances, one does not necessarily have to use Hachreagents. It may be possible to purchase ‘hobby’ test kits (such asSalifert, Seachem and others) and manually calibrate the instrumentfor parameters such as strontium and iodide. This will require aknowledge of extinction coefficients, maximum absorption at properwavelength and so on. Perhaps this is the true beauty of the Hachcolorimeter series. It can satisfy the requirements of those withknowledge of chemistry and physics and let them manipulate theBeer-Lambert Law as they wish. Or, it is just the ticket for theadvanced hobbyist/professional aquarist simply wanting animprovement over visually-judged results. Postscript: I’ve tried to make this article as accurate aspossible, however, errors can happen. It is also possible that Hachwill change specifications from time to time. For furtherinformation, visit www.hach.comfor the latest information. I can provide absorbance information for nitrate (corrected forchloride) and iodine. Email me atRiddleLabs@aol.com.